Welcome to May’s edition of What Your Therapists Are Reading. As usual, we have some great books listed. Therapists from all over have shared what they are reading this month with you and a few thoughts about the book. I would love to know some of your thoughts about these books as well. Feel free to comment below. The Trauma of Everyday Life by Mark Epstein, MD. Facing Codependence: What It Is, Where It Comes From, How it Sabotages Our Lives by Pia Mellody. Attached: The New Science of Adult Attachment and How It Can Help You Find – and keep – Love by Amir Levine and Rachel Heller. Increasingly, each of the disciplines in mental health is struggling to inspire and instill leadership within their ranks to build and support ethical communities of care. Charlene Li has written a short call to action to let go of traditional hierarchical thinking about leadership, encouraging us to engage with each other on social media, be willing to shift our thinking about relationships, and to be strategic in our goal-setting and the digital tools that we use. “May I Be Happy: A Memoir of Love, Yoga and Changing My Mind,” by Cyndi Lee. I would say this is a fabulous list, wouldn’t you? 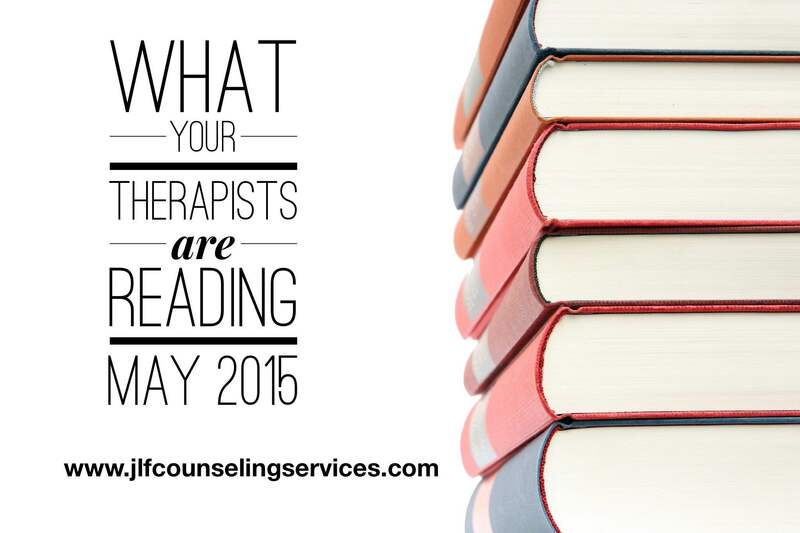 Thank you so much for taking the time to read What Your Therapists are Reading for May 2015. We hope you have found it helpful. If you need to catch up on What Your Therapists are Reading check out January, February, March and April. Are you a therapist and want to share what you are reading? We do this every month so just send an email at jlfcounselingservices (at) gmail (dot) com. Please note that this is for educational and informational purposes only.